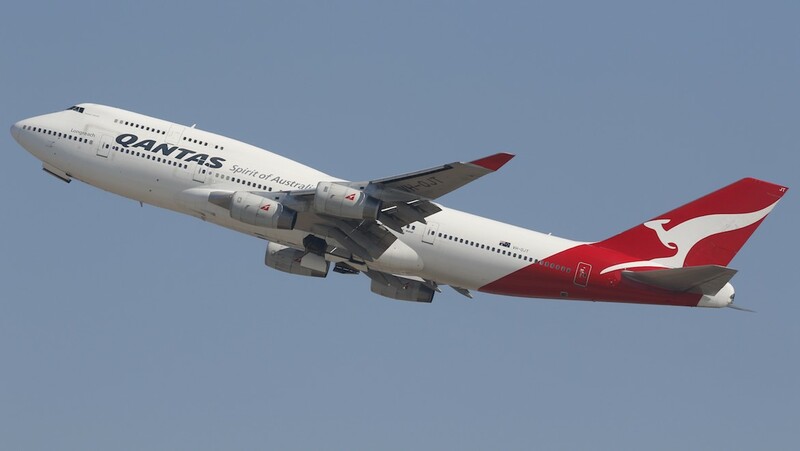 The Qantas Boeing 747-400/400ER fleet is down to single digits after the retirement of VH-OJT. The aircraft named Fraser Island operated its last revenue service in Qantas colours on Saturday September 22, when it took off from Brisbane as QF55. 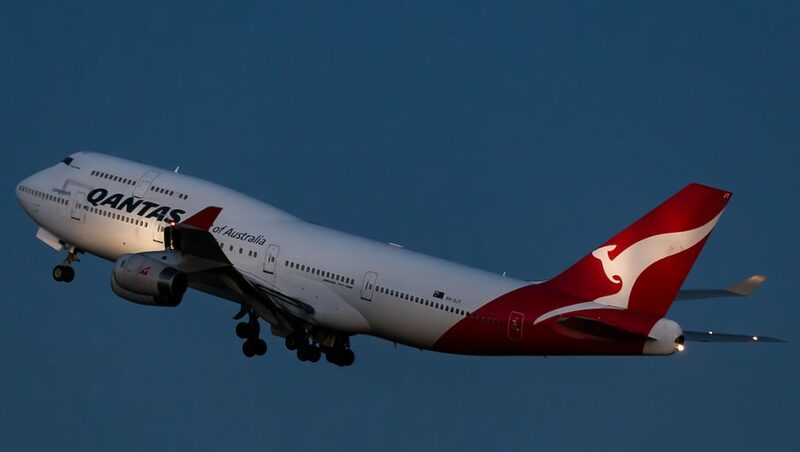 Following a few final checks at Los Angeles, VH-OJT is scheduled to be ferried to the Mojave desert later in the week, Qantas told Australian Aviation on Monday. 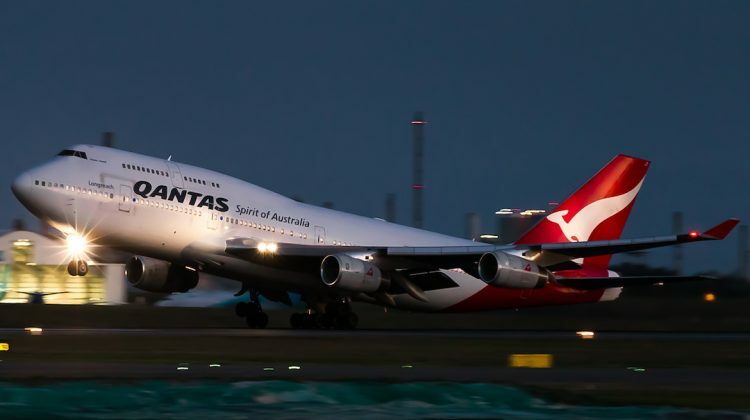 Figures from Qantas showed VH-OJT, MSN25565 and LN1233, completed about 9,300 cycles and racked up about 90,000 flight hours in its near two-decade flying career with the airline. 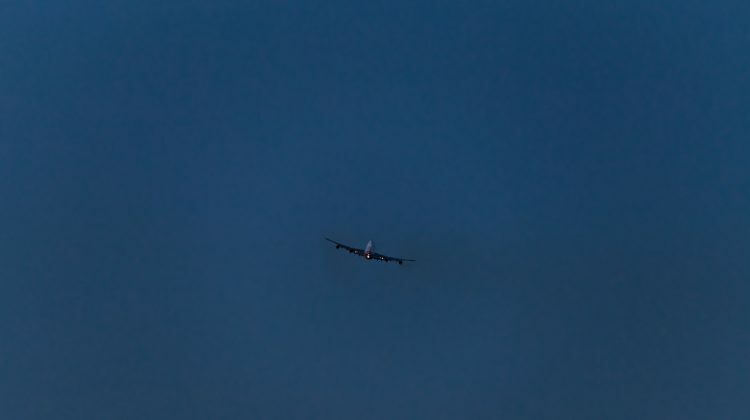 That represents about 18 million kilometres, or 111 return trips between earth and the moon, from the time it was delivered to the airline in October 1999. Further, VH-OJT, whihc is powered by Rolls-Royce RB211 engines, was the 50th 747 delivered to Qantas. It was also the aircraft on Qantas’s last 747-operated Los Angeles-New York (JFK)-Los Angeles rotation at the end of August. The first 747 entered service with Qantas in September 1971, and in time the airline would operate almost every major 747 variant, including the 747SP, the 747 Combi, the 747-300 (which introduced the extended upper deck), the 747-400, and the 747‑400ER (Extended Range). The departure of VH-OJT leaves the 747 fleet at nine aircraft, comprising six GE-powered 747-438ERs (VH-OEE thru OEJ) delivered between 2002 and 2003, a single GE-powered 747-48E (VH‑OEB, built for Asiana in 1993 and acquired by Qantas in 1998) and two Rolls-Royce-powered 747-438s (VH-OJS and OJU) delivered in the 1999-2000 timeframe. 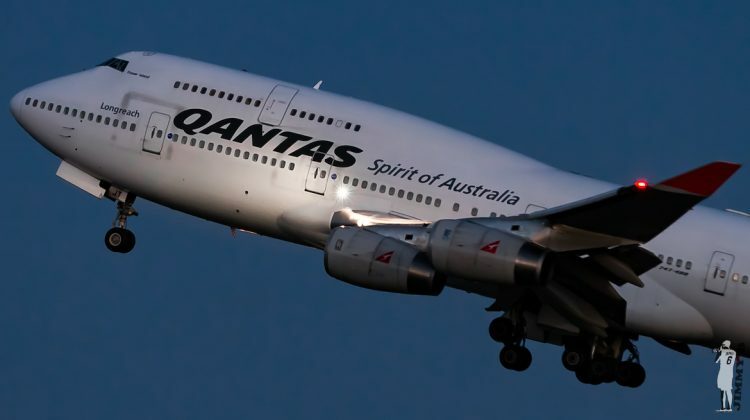 Qantas announced in May 2018 all 747s would be retired by the time the airline celebrated its centenary in 2020. For Qantas, the 747’s network comprises some medium-haul flights to Asia (Sydney to Tokyo Haneda and Hong Kong), a number of trans-Pacific routes (Sydney to San Francisco, Los Angeles and Vancouver, as well as Brisbane-Los Angeles until December) and long over-water flights from Sydney to Johannesburg and Santiago. The airline has also recently operated some transcontinental flights from Perth to Australia’s east coast capitals with the iconic aircraft. The retirement of the 747 fleet was announced after Qantas announced it had exercised options for six more 787-9s to arrive between late 2019 and mid-to-late 2020, which will bring to 14 the number of the type in the fleet. “Qantas has renewed itself over the decades. It has seen the flying boats replaced by the 707s, which was also a major moment. 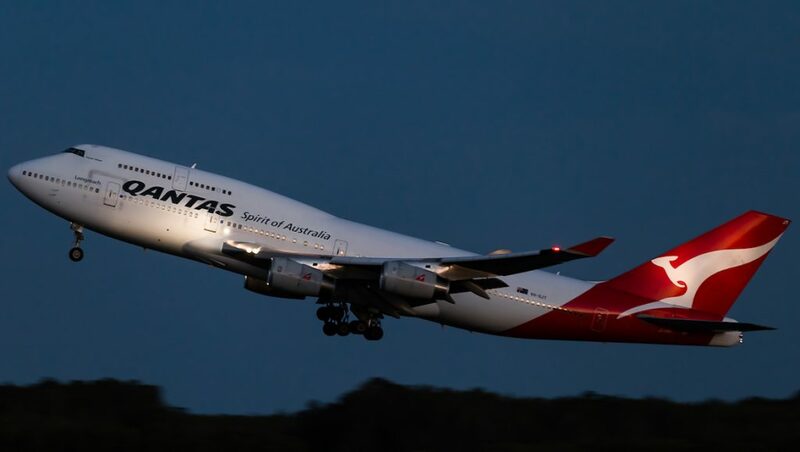 The 707s were replaced by the 74s and now the 74s replaced by the 78s,” Qantas chief executive Alan Joyce said at the May 2 announcement at the company’s Mascot jetbase. 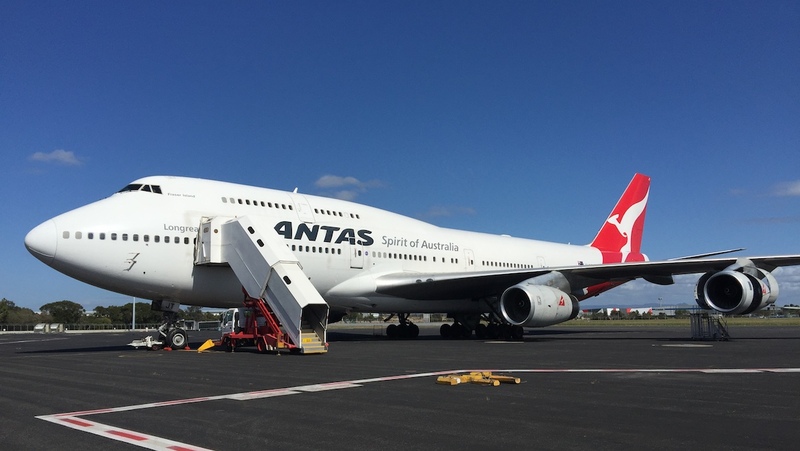 Australian Aviation wrote about Qantas’s long goodbye to the 747 in the June 2018 edition of the magazine. The story can be read here. As I said in another article, I was expecting OEB to be the next to retire given it is the oldest in the Qantas fleet. I guess it is easier to remove the RR powered aircraft first given the smaller number and logistics required to maintain the jets. It is always sad to see these iconic aircraft retire as it was when the Lockheed Constellation (which replaced the flying boats) was replaced by the Boeing 707 which in turn was replaced by the Boeing 747. Saw my first Qantas Boeing 747 (VH-EBB) when it arrived in Australia on it’s de;ivery flight at the newly opened Tullamarine. I have enjoyed many flights aboard these all of the 747 models operated by Qantas. I would suggest it is more likely the aircraft are being retired as they in order of maintenance requirements rather than type of engine they use. Their age may also have something to do with it. Does this mean that Syd-Johannesburg and Santiago will be served by A380s? That’s an interesting Question. I don’t recall Qantas answering that question with what aircraft type they will use. LATAM uses the B789 from Santiago but on a more northern route. Maybe AA could ask the question. The 707 replaced the L1049 Super Constellation not the Flying Boats. It is indeed sad to see these aeroplanes be retired. I am hoping to fly on the last one. Long association for me starting as a kid with VH-EBA, with my Qantas flying starting with a MEL-PER Electra Mark IV in 1965. I feel Qantas will loose its soul when the last 747 is retired. Would be great if they purchased 6 to 10 747-i8s. Place them on the oceanic routes that can’t support the A380s. Johannesburg, Santiago, Antarctica etc…. Regarding the 2-engined 787 Dreamliner and long over water routes to Johannesburg and Santiago, I have raised this same question in other comment pages on this site. I don’t think ETOPS will permit the 787-9s to be used on those routes as they currently stand, so it might have to be the A380s by default, but I can”t see them filling all the seats on them to either of those destinations, so it would be an expensive (for Qantas) option. Perhaps a new northerly great circle route will be required instead of the huge southern one that skirts Antarctica that is now used by the venerable 747s. Qantas has lost capacity on some of it’s routes and needs to operate 2 x dreamliners rather than 1 x 747 is this economical.We need some 747 series 8 ,more economical than a380 and fastest commercial in the sky. It is sad to see the Boeing 747s go, but buying new Boeing 747s for the sake of nostalgia is not the way to go and is frankly not a smart business decision. Seeing as there are only 50 of the Boeing 747-8Is flying in the world, it is obvious that the majority of airlines don’t see this aircraft type as efficient as the Boeing 777 and A380. In response to Wayne’s comments about whether frequency is more economical, I would say that it is. The Boeing 787 is lighter and more fuel efficient so it will have less landing costs and associated fees. Plus having two Boeing 787 flights will in fact increase the capacity on the route (2 x 236 = 472 seats), which is almost 100 more seats than a single Boeing 747. Plus the frequencies will offer different times which will suit a wider market. I have flown LATAM from Auckland to Santiago on the 787.No problems or questions on ETOPS limits. OJT has now flown to Mojave in California. And further north, VH-ZNH and ZNG are on the production line in Everett. ZNH is on position 1 and ZNG is parts arriving. I have flown in 747’s many times, in economy and business class. It has been sad to see the decline in comfort for profit over the years. My first flight with my family from Sydney to London in 1972 was in economy but akin to business class today. The cabin ran three seats then four seats then only two seats across leaving wider aisles. Leg room between seats allowed the window seat passenger to get up and stroll out without disturbing other passengers. Although more whistle stops on route, each take off was followed by a warm face flannel and a glass of orange juice. Surprisingly on the return trip the captain announced that everything was good; we had not lost an engine. We had two engines on one side and three on the other. They had additional mounting points to allow transporting extra engines between countries. We dropped ours off in Bombay on the way home. Now we have knees under the chin seating, especially if the passenger in front reclines their seat. I miss the old glory days. What a great aircraft. Love the 747.